This is a pedestrian bridge that links the east and west sides of Riverdale Park across the Don River in Toronto. It is a viaduct that includes a steel deck arch for the river crossing. The arch is a clean and elegant design. There are no spandrel columns and the arch transitions into the steel girders rather than sitting below them. You can see stiffeners radiating out from where the arch joins the steel girders. 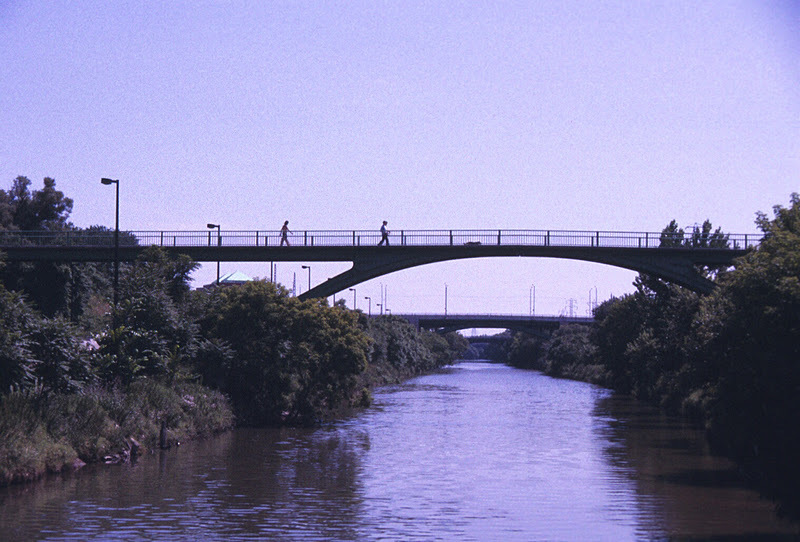 Toronto's Bridges: Riverdale Park Bridge by Mark Yashinsky is licensed under a Creative Commons Attribution 3.0 United States License.